Doctors may be experts at treating patients. But when it comes to running their own businesses, many are making rookie mistakes. And that’s driving many private practices doctors to the brink. “Everyone assumes all doctors are rich,” said Dr. Jim Dahle, an emergency physician in Utah. “When you start believing that, too, you start living beyond your means. As you can see, doctors should pay attention not only to the number of patients that walk through the door, but to the amount of money they earn as well. Of course, giving quality medical treatment and keeping tabs on your finances isn’t easy—many practitioners don’t have the time nor the expertise to keep a tight record book, process Medicare billings, and submit tax returns on time. Fortunately, medical accountants from Melbourne firms like MEDIQ Medical Financial Services can help you keep track of your money so you can focus on treating patients instead. Aside from the accounting services mentioned above, they can also do expense claim and controls, government or employer record keeping, and process your payments for BAS, GST, PAYG and superannuation contributions. They provide tax minimisation strategies too, so you won’t have to pay more taxes than you absolutely have to. When you operate a private practice, you are the captain of the ship. 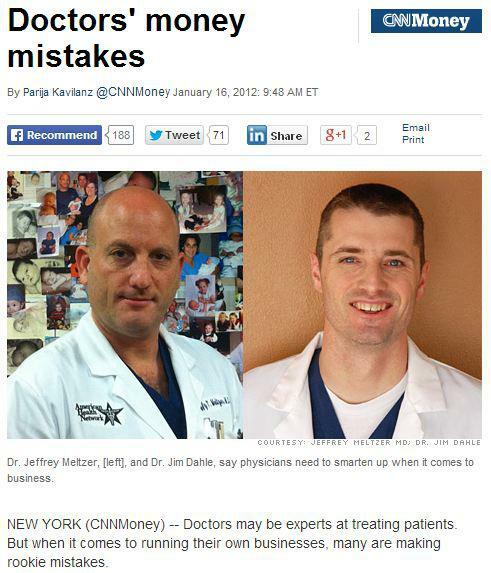 Unfortunately, the financial mistakes that doctors commit are like holes that will slowly but surely sink the vessel. Medical accountants help you keep track of where your money goes to maximize your practice’s profitability and as well as your income.